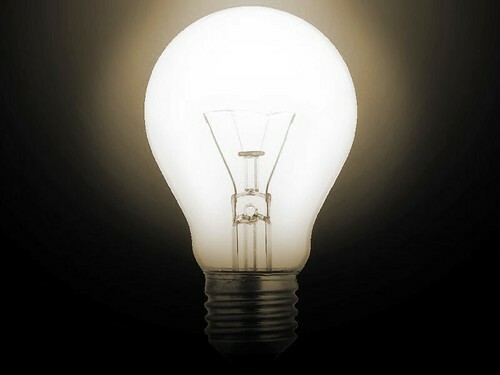 In an average home, lighting accounts for approximately 15-20 per cent of the electricity bill. You can reduce this by observing sensible tips such as only turning on lights when you need to and turning them off when leaving a room. Make the most of free daylight by keeping your windows bright and clean and drawing back your curtains or blinds to their fullest extent. Switching to low-energy light bulbs, although they are initially more expensive to buy, will reduce your lighting costs and save you money. Hang washing outside rather than using a tumble dryer is a good way to save electricity, as a load of washing in a tumble-dryer costs about fifty pence a load. Turn off the oven 15 minutes before the end of cooking. The heat remaining in the oven will be more than adequate to finish cooking the food. The freezer uses more energy than any other household appliance. Make your freezer as energy-efficient as possible by keeping it full, defrosting it regularly and never leaving the door open! The majority of electricity and gas suppliers offer discounts for customers paying by direct debit; with the largest discounts going to those who pay for both gas and electricity by direct debit with the same supplier. Make sure that you are with the cheapest suppliers in your area and, if necessary, switch providers. Doing so could save you several hundred pounds a year. There are several websites where you can easily compare the companies offering the best prices and deals. Give regular meter readings as bills based on actual rather than estimated fuel consumption are almost always lower. Help the environmental and reduce your electricity bills by adding solar panels to your roof. Solar panels convert the sun's rays into electricity. The cost of solar panels has never been lower and solar panel installation companies claim that the panels will reduce bills by as much as 50 to 90 per cent; with those living in sunnier areas having an obvious natural advantage. Estate agents generally agree that solar panels add value to your property making them an attractive option for home-owners. Make sure your home is as well insulated and draught-proof as possible to take full advantage of the panels. If your panels generate enough electricity, you can even make money by selling the electricity back to the grid. Smart meters are the future of energy-saving devices and will take away the need to provide regular meter-readings. The aim of the government is for every home to have a smart meter installed by 2020. Smart meters make it extremely easy to track and account for your electricity usage. The smart meter allows the consumer to be in control of their energy usage as the display informs them of the amount of electricity used and the cost in real-time. They are also easier to understand as the cost is displayed in pounds and pence rather than confusing units and wattage. Smart meters make it easy to change your habits and consumption and will enable customers to make real savings on their fuel bills. Ted Gafney is a freelance writer who specialises in money saving advice.